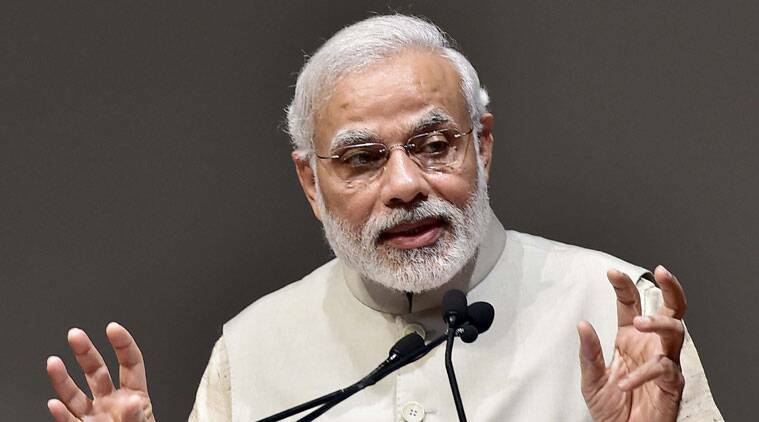 "Nobody has the right to discriminate on the basis of religion... ," said Narendra Modi in Lok sabha. Breaking his silence on the Land Act and communalism, Prime Minister Narendra Modi on Friday denounced communalism saying that his government’s religion is ‘India First’ and its Holy Book is the Indian Constitution even as he promised that his government would make changes in the Land Bill if it has anything against farmers. “My government’s only religion is ‘India first’, my government’s only religious book is ‘Indian Constitution’, our only devotion is ‘Bharat Bhakti’ and our only prayer is ‘welfare of all’,” he said in Lok Sabha while replying to a debate on President’s Address. In the Lok Sabha, replying to the debate on the motion of thanks to the presidential address, Modi said: “Communalism for political reasons has destroyed the country. Hearts have been broken… we want all religions to prosper. “This nation full of diversity. We are for unity in diversity, not disunity. All religions should flourish. It is the uniqueness of India because of its Constitution,” he said. The PM also said the government is ready to make changes in the controversial Land Act, against which the Opposition and rights activists have been protesting saying it is anti-farmer. “If the Bill has anything against farmers, we are ready to change it,” Modi said. The government, under fire from the opposition and the rights groups which have alleged that the Bill in its present form would hurt the farmers’ interests, was reluctant to make any changes to the Act saying that tougher clauses would be a hurdle for the industries and it would hamper the investment atmosphere. However, the party does not want the government to have a pro-corporate and anti farmer image, especially as the BJP is preparing for key elections in Bihar later this year. Party president Amit Shah has appointed an eight member committee to get the farmers’ view on the bill. The farmer leaders of the BJP have already conveyed their anguish over the certain clauses in the new act. The Land act, brought as an ordinance on December 31, has amended the existing law passed by the UPA government in 2013. In the new version, the government has taken away the need of taking consent of the land owners and carrying out social economic assessment (SIA) for acquiring land under certain categories. Three of its allies, Shiv Sena, Shormani Akali Dal and LJP also have raised opposition to these clauses in the act.